In this week’s episode of the Conscious Entrepreneurs Podcast, I got to interview one of my favourite creative soul sisters, Sarah Marie Thompson. 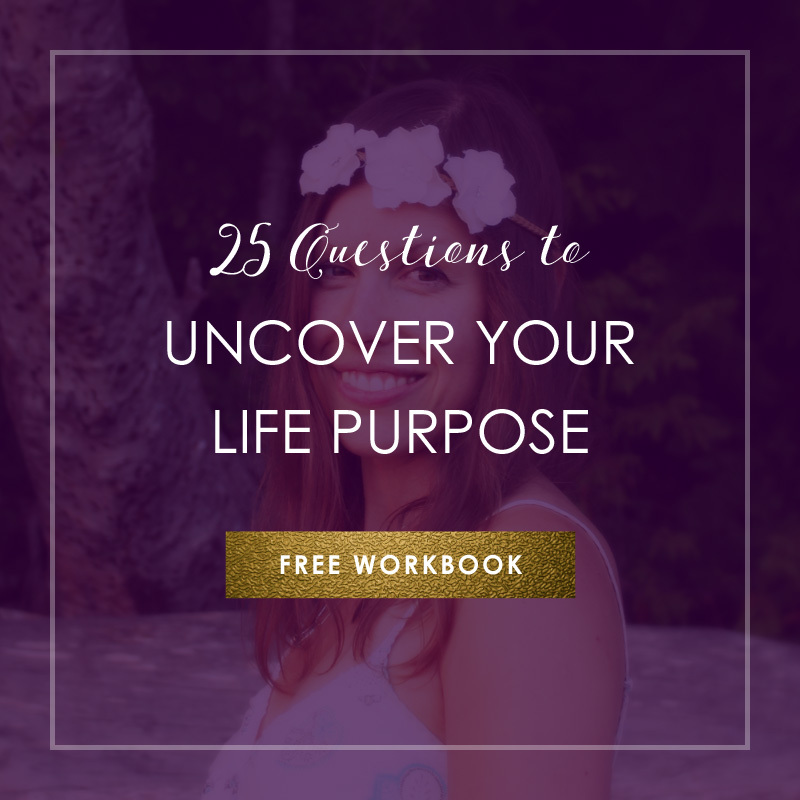 As a creative lifestyle expert and soul guide, Sarah has assisted hundreds of women in finding their creative gold, conquering their fears, and turning their passions into a fun, profitable business. In our conversation, she shared her own magical journey as a creative business owner, the challenges she has faced and overcome along the way, and her best tips for passion driven entrepreneurs who want to make an abundant living doing what they love most. Welcome to episode #14 of the Conscious Entrepreneurs Podcast! This week, I got to connect with an absolutely amazing soul—Samantha Bearden, who is a star shaman, creatrix of the Sacred DNA Restructure Method®, as well as the host of one of my favourite Facebook groups, the Abundance Flashmob! In our conversation, Samantha shared the fascinating wisdom behind her healing modality, the Sacred DNA Restructure Method®, why she is so passionate about this work, and what shifts you can make in your own life and business to manifest greater abundance in all forms. In our conversation, they shared the story behind their love, the challenges they overcame in the beginning stages of their relationship, and their favourite tips for men and women who want to manifest deeply fulfilling intimate soul-mate love. Join myself and Mary Knebel in this week’s episode, and learn how you can shift your mindset + energy to call in your next level of prosperity in your spiritual business. Mary is a certified money breakthrough coach, money intuitive, as well as a gifted healer, and her mission is to empower sensitive spiritual women to up their money game so they can make a bigger impact with their soul work while living a more abundant and fulfilling life. In this week's episode of the Conscious Entrepreneurs Podcast (epsiode #11, yay), I got to connect with one of my favourite ascension guides + teachers, Kathryn Mussell. Kathryn is an intuitive energy healer, ascending earth creatrix, and creator of the healing modality Ascending Earth Reiki. It is her passion + purpose to help humanity understand and be more at peace with our current shift into 5th-dimensional consciousness as part of the process of planetary ascension. Welcome to episode #10 of the Conscious Entrepreneurs Podcast! This time, I had the honour of connecting with my soul sister Ciara Young, who is a mystic, consciousness catalyst and spiritual guide for spiritual guides. In our conversation, Ciara shared her fascinating story of how she discovered her own purpose as a spiritual guide + mentor, her experience of the mystical realms, as well as her best tips for conscious entrepreneurs ready to do things differently in their business. Welcome to episode #9 of the Conscious Entrepreneurs Podcast, featuring one of my favourite success mentors + fellow world travelers, Sazzu Hope (currently enjoying a 6 month getaway surrounded by palm trees + beaches in Thailand). In our conversation, Sazzu shared her favourite manifesting + success tips for women who want to create their best life + business by living their authentic truth and trusting what feels good to them. On her own journey, Sazzu has gone from working 80 hours weeks with little results in her first two years to creating a thriving business she loves and filling her coaching programs with ease—while working less and having more time for her passions in and outside of her business. Join myself and Tami Anderson in episode #8 of the Conscious Entrepreneurs Podcast, and get inspired to create the life + business of your dreams by following your passion and trusting the flow of life. Tami is a web designer + branding expert who loves to use her intuitive gifts to create beautiful websites, logos + graphics tailored to her clients' needs and personality. As long as she can remember, she has been obsessed with typeface + fonts, and she's passionate about creating the most unique lettering to perfectly represent the brands she works with. Laura is a clairvoyant, psychic medium, writer, actress, model, producer, singer and speaker who helps others receive guidance and communicate with loved ones. Ever since she was a child, she has seen and sensed ghosts and spirits, and she has learned how to manage those experiences, using this ability to connect with the angelic and other realms. Join me and Tara Preston in episode #6 of the Conscious Entrepreneurs Podcast, and learn how you can embrace your sacred feminine beauty + wisdom to create powerful shifts in your life and business. Tara Preston is a beauty shaman, akashic records healer and intuitive business mentor for women who are ready to live beautifully in the boldness of their soul’s calling. After spending over a decade in the beauty industry as a model and make-up artist, she is now passionate about helping women in business own their true beauty, power and authenticity so they can confidently step into their purpose and create the business + life their soul longs for. Through her work in the akashic records, she is able to bring light to her clients’ highest potential and help them release deep seated limiting patterns that are holding them back, often in just one session. She wants women to know that creating a business that feels fun, joyful and led by passion is absolutely possible—and that it doesn’t need to take years to get there!